We love Jeeps at Freedom Jeep Chrysler in Killeen, and we love when they turn up in movies and TV shows! Here are a few famous examples of Jeeps in starring roles on the big screen. We can’t talk about famous Jeeps without mentioning one of the most iconic vehicles in movie history. 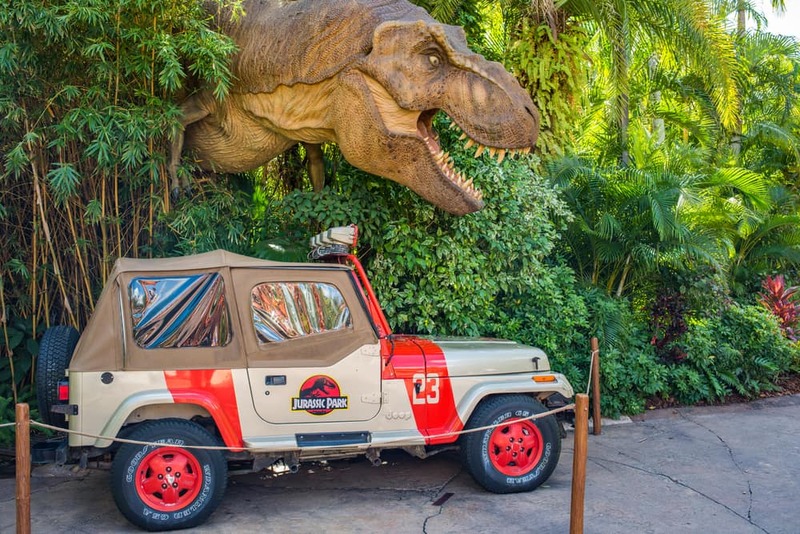 This 1993 Jeep Wrangler Sahara YJ is where Grant, Ellie, and Malcolm first lay eyes on the park’s dangerous denizens and even managed to outrun a T-Rex. The Jurassic Jeeps even made a reappearance in Jurassic World, starting up after 22 years sitting in a jungle. Sounds like a Jeep to me. Yet another famous Wrangler YJ, except this one probably went to the mall a lot more than Isla Nublar. Most well-known for Cher Horowitz’s disastrous driving test, this movie showed that Wranglers are just as capable on the glamorous streets of Beverly Hills as they are tackling a desert track. From 1972 to 1983, M*A*S*H was one of the most highly rated and watched shows on television, with over 106 million people tuning in for the series finale. Part of the show’s success stems from its commitment to authenticity, and that included it’s use of classic 1942 and 1952 Willys Jeeps. A long-time staple of the US military, these early Jeep models were a key part of many US battles. Both Hank Schrader and Skyler White drove Jeeps throughout Breaking Bad’s five-season run. Unfortunately, the two Jeeps sometimes fell on opposite ends of the show’s main conflicts, with DEA Agent Hank hunting Skylar’s husband Walter, with her occasionally assisting in her husband’s illicit activities. Most people picture the DeLorean when they think of Back to the Future, but not everyone remembers that a Jeep played a role in this classic movie. Running late to school, Marty McFly grabs onto the back of a Jeep CJ-7 while riding a skateboard. Fun fact, it was commonly believed that the driver of the Jeep was either Steven Spielberg or Robert Zemeckis making a cameo, but in actuality, it was stunt coordinator Walter Scott. It may not have traveled through time, but it did help Marty get to school a bit faster, so there’s really no telling which was more important to the plot in the end. There are many more examples of Jeeps in movies and TV, including Furious 7, Dukes of Hazard, and The A-Team. Stop by the store to let us know your favorite and find a new camera-ready Jeep at your Central Texas Jeep Authority, Freedom Jeep Chrysler in Killeen! Come see us for all of your Jeep buying needs in Killeen, serving Austin, Waco, Temple, Belton, Harker Heights, and Copperas Cove.